Bahamian tourism gets its record breaking peak this time for the maximum number of international arrivals! Business is stronger than ever for Bahamian tourism. The Bahamas Ministry of Tourism & Aviation is celebrating its highest number of international arrivals ever. These historic numbers have resulted in record hotel occupancy levels and numerous tourism industry awards and media accolades. 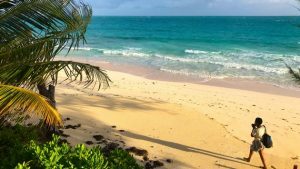 The Bahamas started the year with a brand-new tourism campaign, highlighting its beauty and authenticity of its 16 islands. The campaign was launched in partnership with Lenny Kravitz, urging travelers to “Fly Away” to the Bahamas. A record number of arrivals in the country certainly suggests the new campaign has been a success. 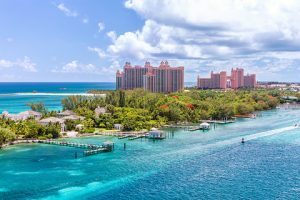 Data for the record number of arrivals was compiled in partnership with ForwardKeys, which found that The Bahamas grew by 15 percent in January 2019 versus January 2018. In February, international arrivals increased by 11.1 percent year-over-year. Air capacity grew by 20 percent in January and 21 percent in February year-over-year, with the strongest growth in key markets, the U.S. and Canada. Last year’s cruise and stopover arrivals showed increases as well. At the end of 2018, foreign air and sea arrivals totaled more than 6.6 million visitors, an increase from the 6.1 million recorded in 2017. Alongside increased arrivals were a reported spike in average daily room rates and RevPAR. The year ended with room revenues up 34 percent, which was better than the last 10 years.